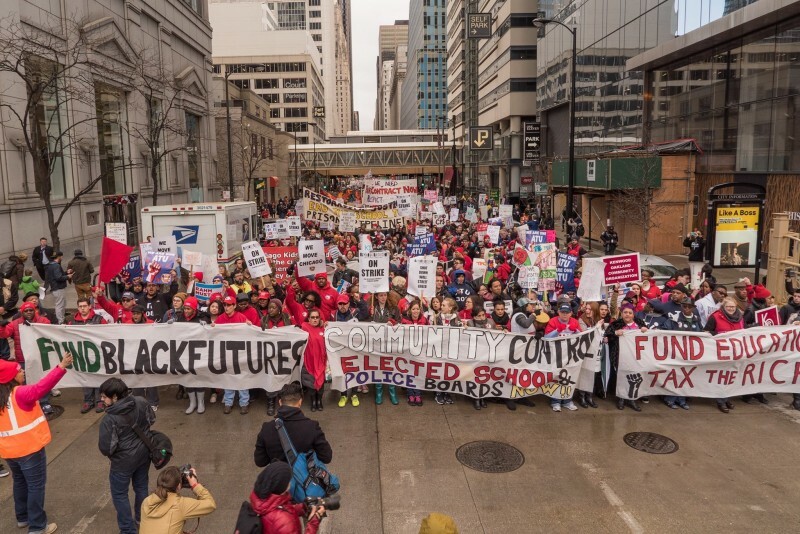 Chicago teachers sign tentative agreement | Fight Back! Chicago, IL - On Monday night, Oct. 10, just before the midnight deadline, the bargaining committee of the Chicago Teachers Union (CTU) tentatively accepted a new contract offer from management. First, the attempt by the city to make them pay 7% more into their pension each year. New hires will have to pay an additional percentage, but then will receive additional raises equal to that loss, so they lose nothing. This is important, because the creation of a lower, second tier of wages or benefits for new employees is one of the ways that bosses have divided union workers against each other. Second, they hung onto steps and lanes, raises that come with anniversaries of hiring dates, and with advances in education level by teachers. Overall raises were modest: 2% and 2.5% in the last two years of a four-year agreement. In a move that surprised veterans of the union movement, the Mayor Rahm Emanuel conceded to turn over to the schools’ $87 million of the $175 million surplus in the Tax Increment Financing (TIF) funds. The rest of the $175 million will also go to the city’s general fund for the first time ever, helping to pay for many services for working people. TIFs are schemes where Emanuel has control of real estate taxes in areas featuring politically connected developers. These tax dollars are kept from funding schools and other needs, and instead fund playgrounds for the wealthy. 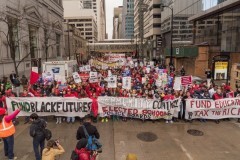 Teachers even held a one day strike on April 1 with the main demand to get Emanuel to spend this money on the needs of the people. Getting Emanuel up off of the TIF funds is a major victory for the CTU. All of these elements of the contract were won since the city brought an offer to the union in January. The union’s House of Delegates - 800 elected teachers and professionals in the schools - rejected that offer overwhelmingly. The gains were made because of a credible strike threat and the willingness of the rank and file members to fight.